Breakfast With Tiffani Spotlight: Shena Smith and Daughters United In Christ, Inc.
As we prepare to say goodbye to January 2017 and National Mentoring Month, I would be remiss if I didn’t spotlight this organization and it’s amazing leader for her work in the community. Breakfast With Tiffani (BWT): Could you tell me a little bit about yourself and Daughters United In Christ, Inc. what is it, why did you start it, etc? Shena: Currently, I teach AP English at Bowie High School in Bowie, MD, where I have taught for the past 11 years. I have coordinated several programs and clubs within my school that provided academic, social, emotional, and social support to our students. Additionally, I was a lead writer for the first AP Language and Composition curriculum crafted for PG County and contributed to other grade level English curriculums as well. In the midst of all this, one could say I also serve my students as a counselor, coach, and confidant in the midst of grading papers and planning lessons. Hence, why teachers are indeed underpaid lol. When I turned 30 in 2014, I began to experience an even heavier burden for teens that I believed could no longer be addressed in the confines of a classroom. 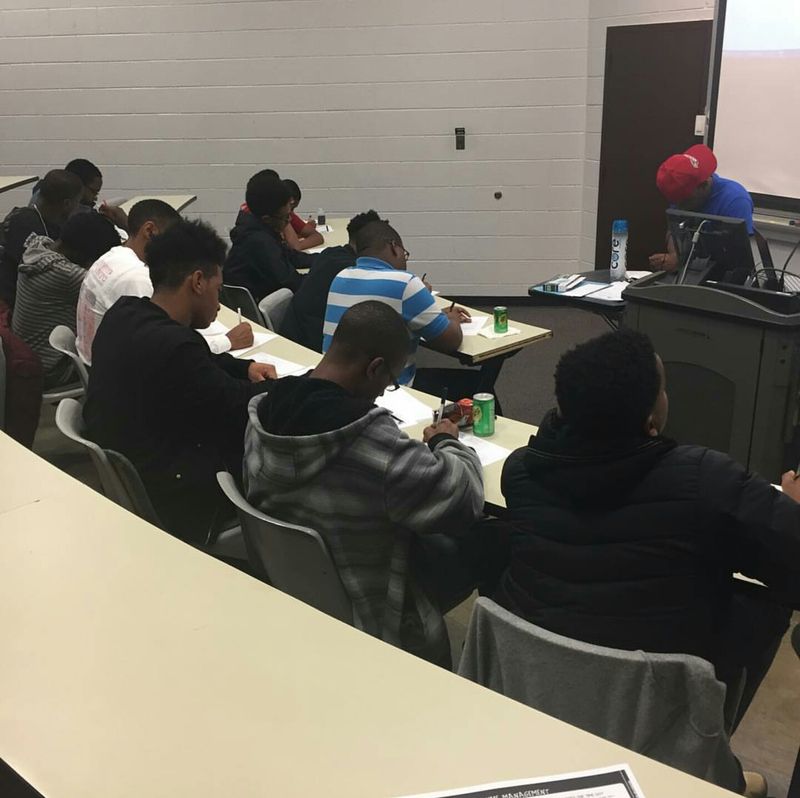 After praying on this matter for a few days, God confirmed through my quiet time, students, and wise counsel that all my engaging, coaching, and empowering of my students had to break out the classroom. I could not address the social and emotional unrest my students experienced in a class period, let alone my lunch period as the masses would come daily to speak and inquire on their fears, doubts, and pursuit of truth. I then began to research how to start an organization to further meet the needs of our rising teens since Prince George County underwent huge budget cuts that removed programs and classes for our students to tap into their strengths and provide outlets for their talents. This – along with my passion for connecting youth to Christ and living a life based on principle – birthed the vision and non-profit organization Daughters United in Christ, Inc. This non-profit seeks to empower teen girls to be intentional today by activating and attaining an impactful legacy by resolving social, emotional, and spiritual unrest through coaching, conferences, and biblical connectivity. We currently meet twice a month for workshops, projects, and outreach to instill views led by principle. Shena: I believe mentoring is paramount because it keeps people humble when done properly – whether you are a mentor or a mentee. On the side of a mentor, it is difficult to teach something you do not practice yourself. In a position of leading or advising anyone, your life and actions have to speak and align with what you say; therefore, it is a humbling reminder to be true to what you preach and that your actions ultimately reflect your views and beliefs – whether helpful or harmful. On the side of a mentee, it takes humility to ask for help and admit you do not have all the answers getting from point A to point B. Culturally speaking, some believe independence is contingent upon their ability to do things solely on their own and the less you have to rely on people, the better off you are. I find this to be detrimental to one’s success and overall growth because God created us to be in relationship with one another; to yield to one another; to lean on one another out of reverence for Christ. Therefore, we miss Christ when we don’t operate in the freedom and gains of submission. Shena: One of my mentors shared with me that it is helpful to have a mentor for various aspects of your life that you desire to grow in. It may be unrealistic for one person to have all that you need. Presently, I have a spiritual mentor, business mentor, and a mentor couple for marriage. In choosing my mentors, I first prayed to seek God’s counsel on what I needed so that when I met people, I would already be in tune with those needs. Sometimes we can pass right by the very person or things we need because we did not get clarity. Once I could communicate what I needed, I was more aware of those people when I was confronted by them or the resources when they were offered. Overall, I chose my mentors based off the area I needed to grow in, and who is already doing what I desire to do to, which affirms and feeds my faith that it is possible – whatever it is. Come on here Shena! That interview spoke to my life! Preach a word to me why don’t you! If you enjoyed that interview and appreciate everything Shena is doing for our community, I would like to encourage you to donate to Daughter United In Christ, Inc. by clicking here. Programs like this can only succeed with donors and sponsors like yourself, so please consider giving to this amazing organization. Check out more images of Shena and her girls below!